Your Home for All Handyman & Home Remodeling Services! 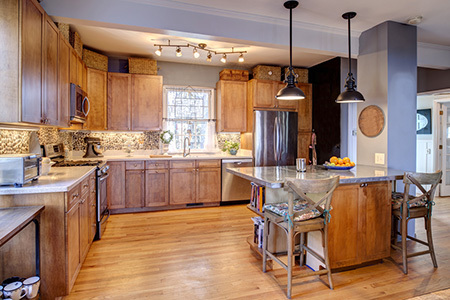 Ron’s Repair is your locally-owned residential handyman and remodeling company. We provide everything from home remodeling to new construction work to clients in Austinburg, OH and the surrounding areas. No job is too big or small for our team to tackle! Contact us today to consult on the scope of your project. Since 2009, Ron’s Repair has been the locally-owned handyman homeowners in Austinburg and throughout Ashtabula County turn to for help with all of their home improvement projects, from remodels to new construction. Whether you simply need a handyman to get a job done that you’ve been putting off for years or you’re looking for a major new remodel or addition to help you turn your house into your dream home, we’ve got the skills and services you need to make it happen. We pride ourselves in combining our extensive breadth of capabilities with a small business approach and friendly customer service. We’re capable of taking on just about any kind of job. Beyond new additions and general remodeling services, we also provide a wide variety of handyman services in Austinburg, OH, including deck building, basement remodels, new windows and doors, repair work, carpentry and woodwork, siding and more. We will work with you throughout every step of the way to ensure the end result gives you the appearance and functionality you’ve been looking for. We are fully licensed and insured for your convenience and protection. 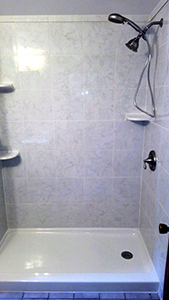 We have 18 years of local experience in general contracting. We strive to build lasting relationships with all of our clients. We offer emergency services 24 hours a day for your peace of mind. We are an accredited member of the Better Business Bureau (BBB). "Ron’s Repairs installed paneling on my old cottage walls, which had many angles and walls that were not exactly in line. They did a beaut..."
"Ron and his crew completed siding my entire home, replaced a couple of windows, and built new steps into my back entrance. Because of them,..."
"Excellent customer service! Quality work." "Most skilled and dependable craftsman you could ask for.."
"Ron repaired my vinyl fence and a section of my cottage's eaves. Then he sent me a picture of the work since I was not there when he complet..."